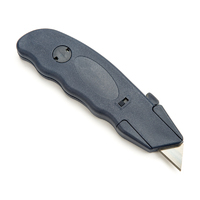 Detectable spring-loaded safety knife with a replaceable blade. 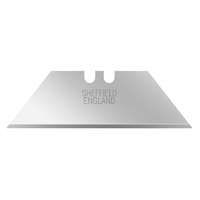 Blade length is adjustable to 4mm, 11mm and 15mm. Detectable safety knife with a trigger-activated blade. Blade length is adjustable to 4mm, 11mm and 15mm. 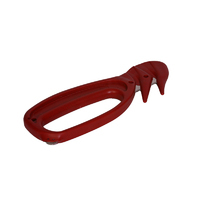 Moulded in a metal detectable plastic with stainless steel blades. 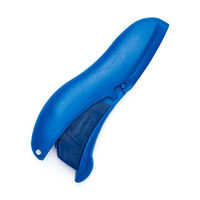 No removable parts, complete with hook blade and is disposable. 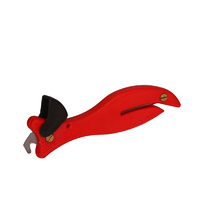 The Penguin safety knife, with the addition of the 'opposing slopes' on the knife head and the blunt tape cutter at the handle base is a versatile cutter. This product is suitable for contact with food. 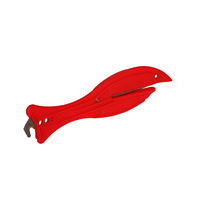 The detectable twin wing safety knife is a compact, lightweight, push and pull action safety knife with angled twin blade entries and 'opposing' slopes to reduce friction. Suitable for direct contact with food. 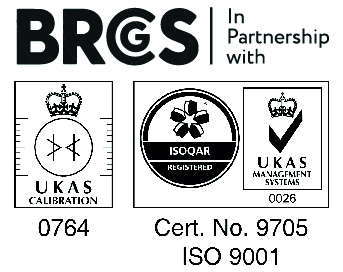 For light use only, with a unique mechanism where the blade locks in the 'out' position when a controlled cut is being made. This almost eliminates the risk of accident. 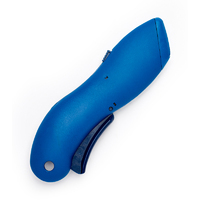 The Fish safety knife complete with a hook blade, moulded in a metal detectable plastic with stainless steel blades. This product is suitable for contact with food. 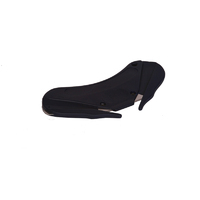 Stainless steel replacement blades to fit K8908 - detectable retractable safety knife. Available in packs of 10.